Over a million Americans have given up on the house and white picket fence, in search of a freer life on the road. 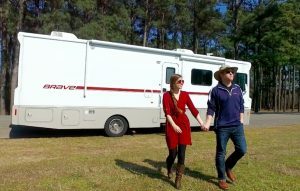 Is #RVLife the new “American Dream”? 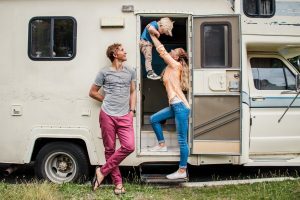 The number of Americans living full-time in RVs and camper vans is on the rise. While it’s impossible to get an exact count, the RV Industry Association puts it at a million. The author of the new book “Nomadland” has followed dozens of these modern drifters around since 2013 in an effort to determine whether they actually enjoy the lifestyle or are doing it out of desperation. “Wages minus grocery receipts. Minus medical bills. Minus credit card debt. Minus utility fees. Minus student loan and car payments. Minus the biggest expense of all: rent. More and more people are cutting out the rent or mortgage (and maybe walking away from some debt while they’re at it) and purchasing tiny homes they can often pay for in cash. And more and more of those tiny homes are on wheels, giving people the freedom to explore the continent and follow the odd jobs that finance their trips. “There’s an element of romance to this and adventure, and there’s also an element of desperation and economic necessity,” Bruder tells NPR in an interview about her book. The primary driving force is a federal minimum wage stalled at $7.25 an hour paired with a cost of housing that climbs at a much faster rate. There are now only a dozen counties where a full-time minimum-wage worker can afford a one-bedroom apartment, Bruder points out. “Workampers are modern mobile travelers who take temporary jobs around the US in exchange for a free campsite – usually including power, water and sewer connections – and perhaps a stipend,” Bruder explains. Similar to migrant workers from south of the border, they are ideal employees for large corporations. 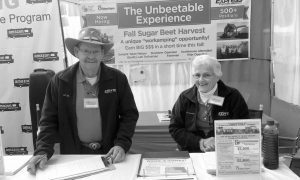 Companies like Amazon and J.C. Penney recruit workampers to work in their warehouses during holiday season and sugar beet farmers hire them to help with harvest. In a typical shift, employees walk more than 15 miles on concrete floors, stooping, squatting, reaching, and stair climbing as they scan, sort, and box merchandise. Jeff Bezos has predicted that by the year 2020 one 1 out of 4 workcampers will have worked for Amazon. Other workampers pick up “gig work” selling Christmas trees and pumpkins, cleaning campsites, harvesting on farms or in vineyards, or filling in as security guards. A Facebook group called Workampers with more than 30,000 members keeps RVers posted about job opportunities. 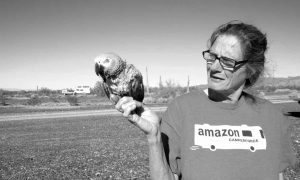 When Bruder first got out on the road and started talking to people, the first thing they wanted to tell her was that they chose the lifestyle. “And then maybe four days later, if I’m still hanging around as a reporter, that’s when I hear about the foreclosure or the 401(k) that got wiped out,” she told NPR. For the 117 million American adults on the lower half of the income ladder, earnings haven’t changed since the 1970s, Bruder notes.